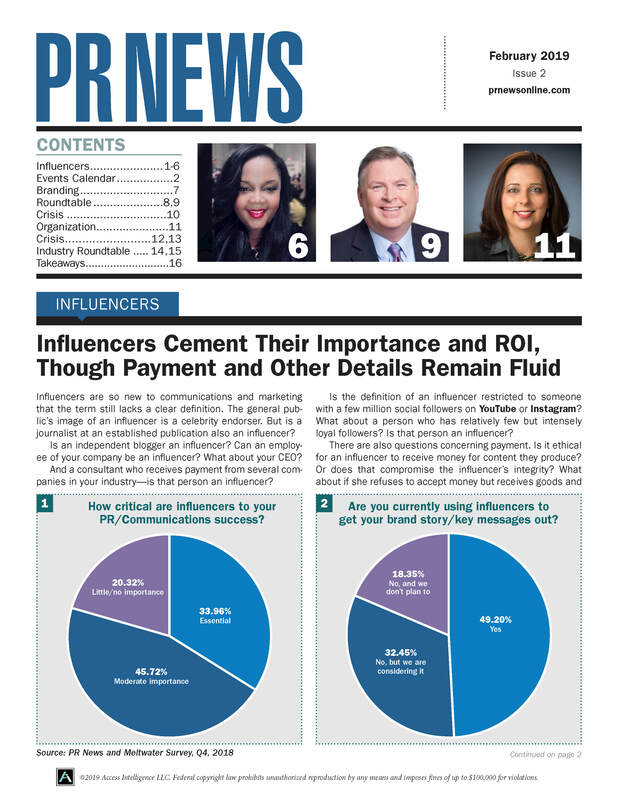 At the end of the day, the trending, industry-leading, overused PR word or phrase that communications thought leaders are elevating the most is "engage," which defeated "thought leader" in the championship round of PR News' 2018 Most Overused PR Words & Phrases Tournament. 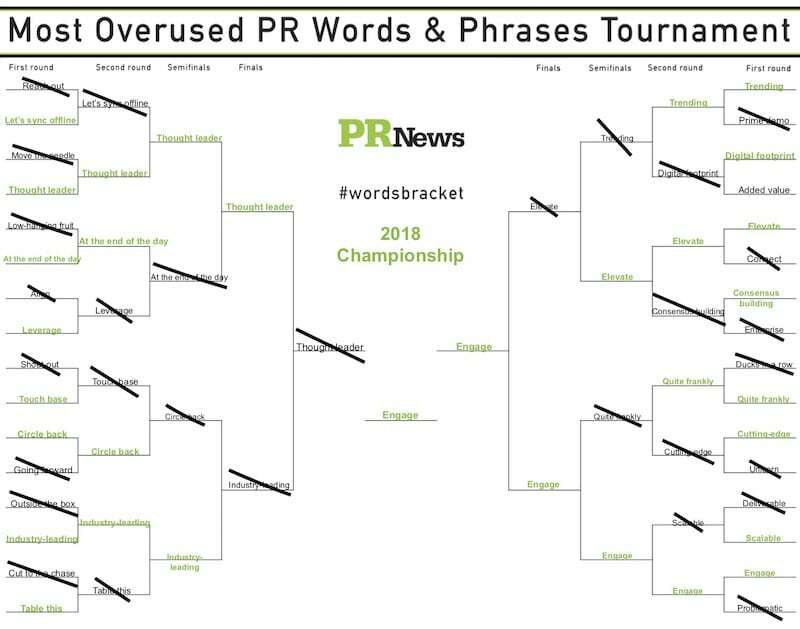 PR News' community on Twitter has been voting for the past several weeks—using the hashtag #WordsBracket—through five rounds of brackets. Apparently, PR practitioners need a nice long break from the word "engage" but, admittedly, it'll be hard to find a workable replacement for it. Download a printable .PDF of the final version of the 2018 #WordsBracket and challenge yourself to let a day pass without speaking or writing any of the words or phrases that were in the competition.